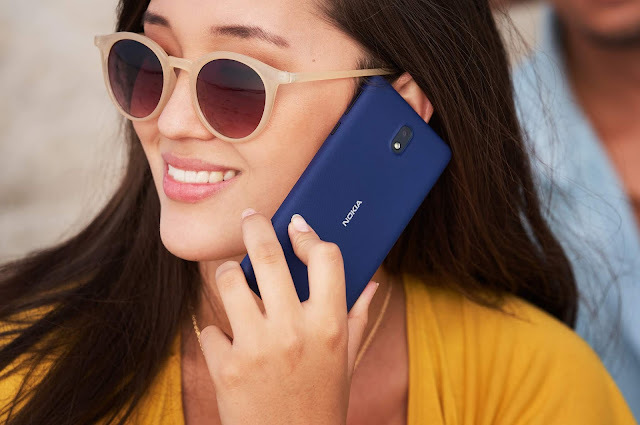 Nokia Mobile will be announcing some new phones at MWC 2019 and the recent teasers showed us the two phones that will be launched but as per a new leak shared by Tiger Mobiles, we might also see the successor of the year-old Nokia 1 in the form of Nokia 1 plus. 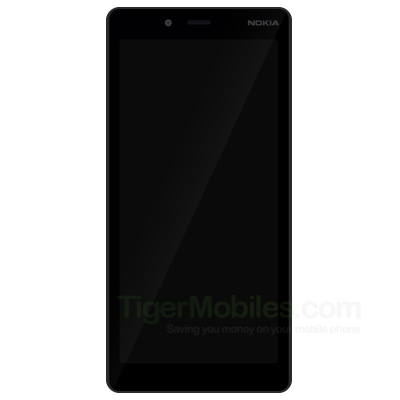 Tiger Mobiles also shared a few details about the specifications and an image of this upcoming "Nokia 1 plus" smartphone. Nokia 1 plus will be powered by a MediaTek MTK6739WW processor and will come with 1GB RAM. All basic sensors present on Nokia 1 will be present on the Nokia 1 plus as well and other features include Dual Nano sim slots, GPS, WiFi and Bluetooth. The device in the render looks larger than the currently available Nokia 1 and could have a 5" display which according to the leak will have a resolution of 480x960. Nokia 1 plus will come with the Android Pie Go edition out of the box due to 1GB of RAM. If you remember, Nokia Mobile had announced that they'll be simplifying their device naming by not releasing new devices with "plus" in their names. But this leak points contradicts what Nokia Mobile had announced. So, we are not sure if this will be launched as the Nokia 1 plus or as the Nokia 1.1 in the normal Nokia fashion. We will find the name of this device on 24th February at the MWC launch event when Nokia Mobile will launch their new phones.